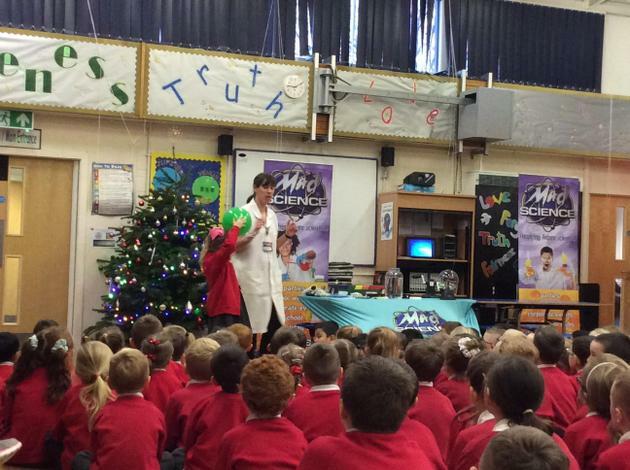 The children were amazed by the Mad Science assembly this morning. 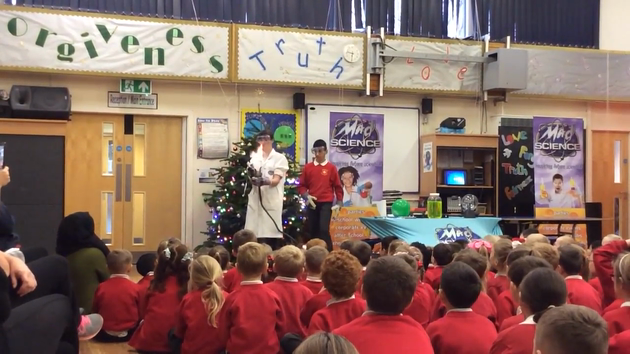 Miss Kelly chose Hsanat to go up and help with one of the experiments. 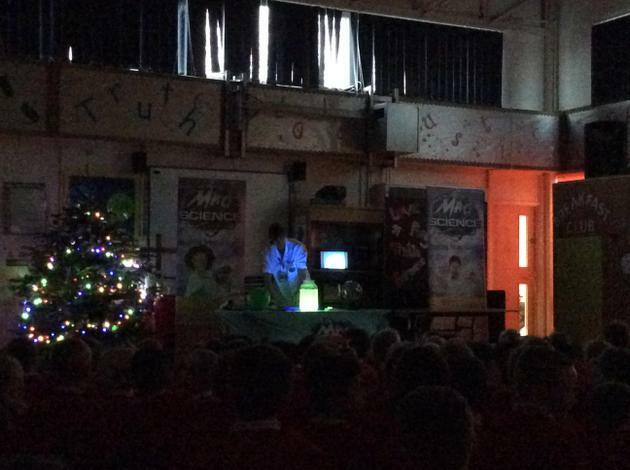 He had to keep himself safe from the fire using gloves and protective goggles. Mrs Bibby was scared that he’d come back to class with no eyebrows!